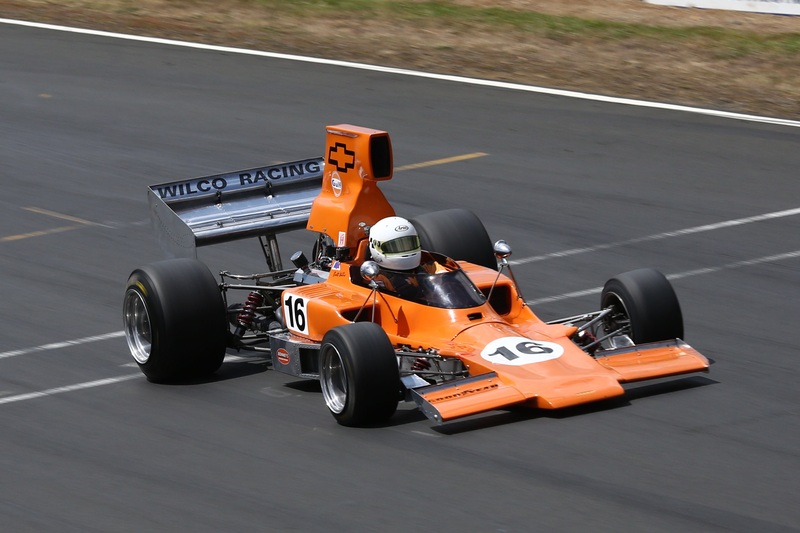 Kiwi super-vet Ken Smith (Lola T332) has earned yet another motor racing accolade, winning the twin Gulf Oil Howden Ganley F5000 Festival historic motor racing meetings’ ‘Formula 5000 World Series’ title with a six-race clean-sweep. The title was created as part of the organisers’ desire to attract as many race-ready Formula 5000 cars to the meeting as possible with Smith a worthy first recipient with a perfect 288 points. Fellow former MSC NZ F5000 Tasman Cup Revival Series champion Steve Ross (McRae GM1) was second with 219 points, visiting Australian driver Paul Zazryn (Lola T332) third with 184. 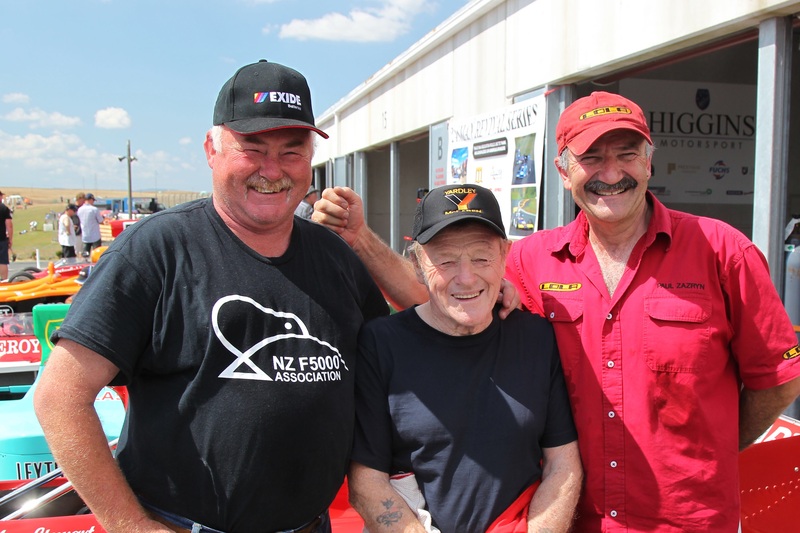 Smith, the 73-year-old from Auckland contesting his 47th consecutive season of national level motor racing in New Zealand, completed his two-event clean-sweep the same way he started, winning both Sunday races at the second Gulf Oil/Howden Ganley F5000 Festival meeting very much as he liked. In the eight lap prelim race in the morning he led home fellow front-row starter Clark Proctor (March 73A/1), Steve Ross, Paul Zazryn and Brett Willis (Lola T330), while in the 15-lap feature held in even hotter conditions in the afternoon he won from Ross – after Proctor stopped with gearbox issues – Willis, UK-based series regular Greg Thornton (Surtees TS11), Zazryn and David Banks (Talon MR1). After Proctor set the quickest race lap in the weekend’s first MSC F5000 series race on Saturday, Smith was again fastest in both Sunday races, though even his best times were well off the qualifying pace he set at the first festival meeting. Big mover in the feature race was Brett Willis, the Rotorua driver claiming the final podium spot behind Smith and Ross after a stellar drive in a car which had to have extensive repairs after an unfortunate four-car crash in the feature race at the first festival meeting. Willis got better and better as the weekend went on and had to find a way past both Paul Zazryn and Greg Thornton to get to third. The other big improver amongst the regular MSC series runners, Aucklander David Banks, had a relatively lonely run to the flag to finish sixth in his Talon MR1, but behind him Russell Greer (Lola T332), Australian visitor Peter Brennan (Lola T330), Shayne Windelburn (Lola T400) and Calven Bonney (Begg 018) entertained the large crowd with a race-long four-way battle for seventh. Series young gun Alan Dunkley (Lola T140) again did a giant-killing job in the oldest (high-wing) car in the field in the morning race to split Brennan and Greer for tenth only to suffer another half-shaft failure and be an early retirement in the feature race. Aaron Burson (Talon MR1) was another to struggle with half-shaft breakages, while his father Peter Burson (McRae GM1) pulled out of the feature with an engine issue. Balancing the ledger was Stuart Lush (McRae GM1), the former series regular deciding to enter the feature race after only intending to have his car at the track on display and for demonstrations. He looked like he had never been away to finish the feature race in 12th position. The fight for the 2014/15 MSC crown then heads south for the penultimate round at the annual Skope Classic meeting over the Feb 7/8 weekend then back north to Manfeild for the final at the 2015 New Zealand Grand Prix meeting at Manfeild the weekend after. 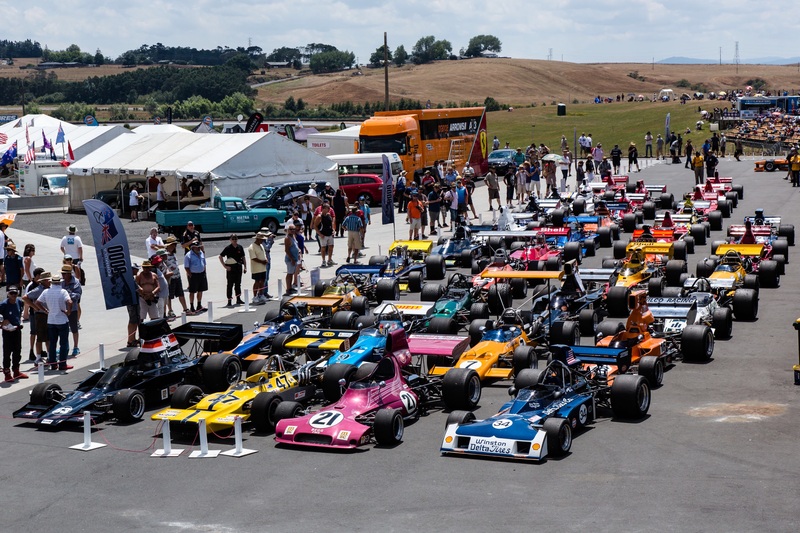 The field of Fomrula 5000 racing cars that either contested the MSC NZ F5000 Tasman Cup Revival Series races or were demoed or displayed at the the two Gulf Oil Howden Ganley F5000 Festival meetings at Hampton Downs over the two weekends. Ken Smith (Lola T332 #11) leads Clark Proctpr (March 73A/1 # 57) and the rest of the field at the beginning of the second race. Formula 5000 World Series winner Ken Smith (middle) flanked by runner-up Steve Ross (left) and third placed Paul Zazryn (right). Brett Willis was the big mover in the feature race on Sunday afternoon, finishing third in the Lola T330 he and his family-based team repaired after a crash at the first Festival meeting. Photo credit: Fast Company/Alex Mitchell.